CAPE CORAL, Fla. -- The countdown is on. 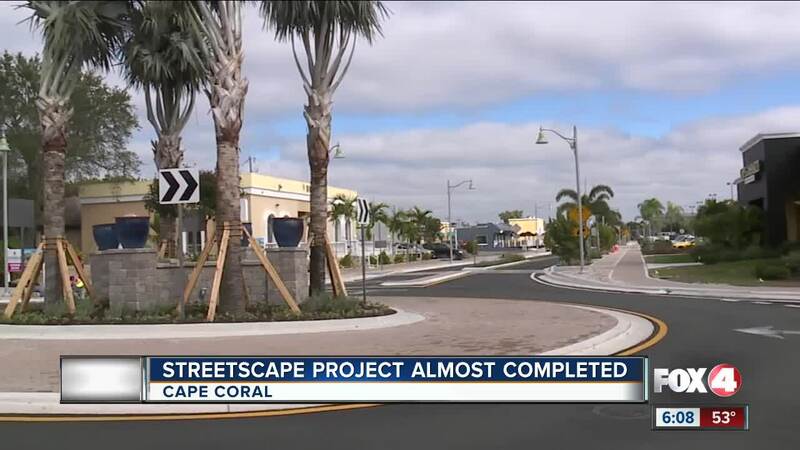 We are just a little more than a week away from the completion of the streetscape project in Cape Coral. Next Tuesday afternoon, there will be a celebration on the corner of Southeast 47th Terrace and Southeast 10th Place. The city says the project will improve traffic flow, safety and wi-fi capabilities in the area.